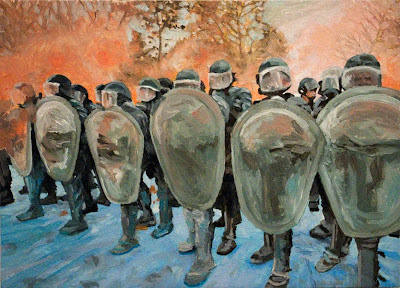 A Painters History Of The World-Part1: Riot Squad! 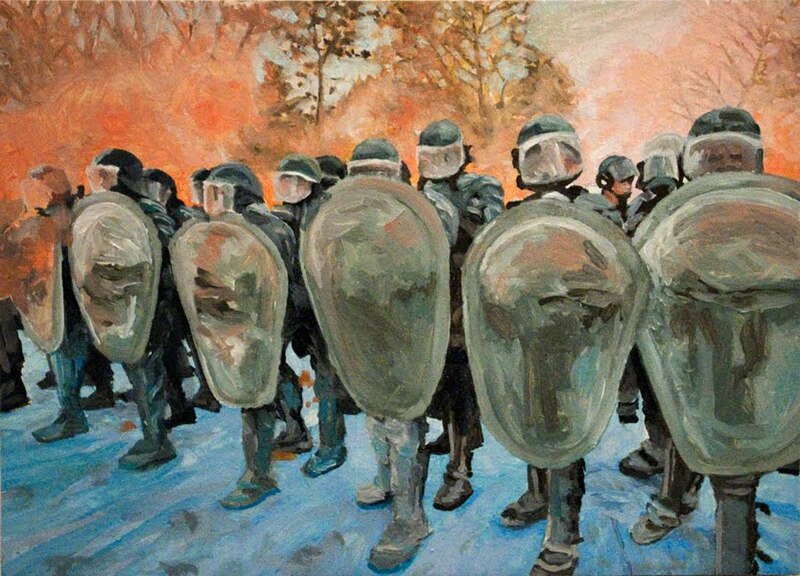 Oil on birch panel, 2010, 5"x7"
Todays painting is of a riot squad in France. I don't know what the situation was that needed the police but I sure love the colors that were created by the tear gas (I'm assuming thats what that is). I also like the way the colors ribbon across the picture, kind of like the French flag.